Ask those same people to define "reexport," and you're bound to get some interesting (and confusing) answers. Really, go try it. It's an interesting way to spend your lunch hour. Why is that important? If your item, technology or software requires a license before you can export it from the United States to a specific country (let's call it Country C), that same item, technology or software requires a license to be reexported from it's current non-U.S. country to that same Country C. And that's true whether we're talking about finished goods or parts that are used to make finished goods. How to Determine If You Need an Export License. It is exclusively controlled for reexport by another U.S. government agency. It is publicly available technology or software, except encryption. Classify the U.S.-origin parts or components exported to you according to the classification system set forth in the EAR. The U.S. exporter may be able to assist you in determining the ECCN. Determine if the U.S. parts or components are "controlled content." Per the BIS, U.S. controlled content requires a U.S. license if it were to be reexported as separate parts or components to the country of ultimate destination. Determine if the U.S. controlled content is greater than 25% of the value of your finished foreign product. You’ll use the de minimis rule to make this determination. 10% for Cuba, North Korea, Sudan, Syria and Iran. 25% for all other destinations. If the U.S. controlled content is 25% or less of the value of your finished product (or 10% or less for applicable countries), you qualify for the de minimis exception, and your product is not subject to the EAR. Determine its ECCN and license requirements. You can use Shipping Solutions’ Product Classification Wizard to search for the correct ECCN classification for your product by entering either the first part of the ECCN number or a text description of your product. Determine license exception eligibility (if one exists). Check out our article, What You Need to Know about Export License Exceptions, for more information. 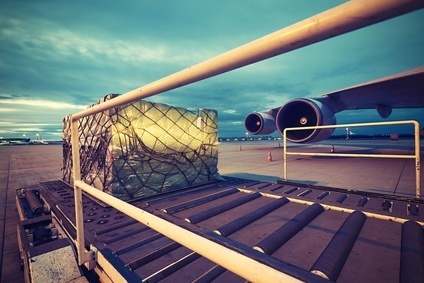 Reexports and reexport controls can be confusing—and while this article is intended to give you a good summary of the topic, there is a lot to know that we can’t cover in just one article. The BIS has several tools and publications that can help you better understand reexports starting with the Guidance on Reexports web page. If you need help with a reexport license or product classification, contact BIS or speak with someone at the U.S. Commercial Service Office nearest you. Guidance to the Commerce Department's Reexport Controls booklet. The BIS Reexport Controls slideshow.